I think Danilo fell in love with Milena the moment he caught sight of her blonde hair, round face and big chest. For me, though, it took a few days (exactly as many days as Milena turned up with Čeda, to drink coffee, talk and do whatever the hell else the two of them and all of us got up to in the apartment on Svetosavska) to discover, to realize, that the corners of Milena’s mouth rose considerably when she smiled (a child’s hand draws a half-moon the same way, horizontally and with pointy ends) and that the same thing that was happening to Danilo was also happening to me. When she finished telling me the story about the dentist’s tongue and all the rest of it, Milena was already naked, with skin that glowed in all directions and filled the entire room, and it took my breath away for a moment, just like with all fools in similar situations, or better: like all fools who have anything to do with Milena, with Milena’s skin; and besides that there was the chill of the room; Milena had goose bumps, and so it looked like the tiny needles on her skin very nearly blocked off the entire room. A few moments later, after I lost my head just as the dentist had done, Milena said brusquely, in a commanding tone, that she wanted to sleep and that I should stop delaying, a big job was waiting, but what job (asks the prisoner – me), and my master (Milena) lifted yet again (the corners of her mouth as if this were about her skirt, exactly like that), stretched out beneath my awkward and unnecessary arms, and went to sleep; very quickly I felt the pins and needles start in my arm, but I was unable, yes, I simply could not be so bold as to pull it out, take it away, to save it from this great white load – the whole of untouched Milena, because she would wake up just as easily as she fell asleep. And the anger of the master and the humility of the slave, of course, work just like that; so then it’s better like this: a numbed arm, underneath the master’s back. 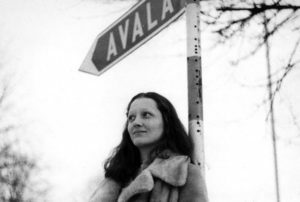 Biljana Jovanović (1953–1996) was a Serbian intellectual who published poetry, novels, plays and non-fiction pieces mostly connected to her time in the anti-Milošević opposition of the 1990s. After studying philosophy at the University of Belgrade, she was an early and active member of a number of important human rights groups in Yugoslavia. She was also an organiser and participant in a number of major anti-war campaigns and demonstrations, and helped found an underground workshop/university. She died in Ljubljana at the age of 43. 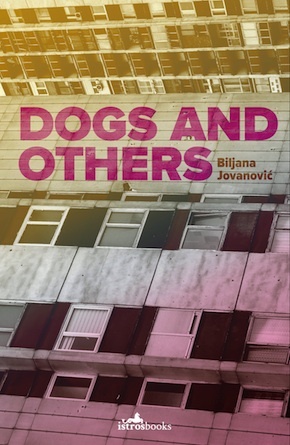 Dogs and Others, translated by John K. Cox, is out now in paperback from Istros Books.